Hermann (Heinrich Ludwig Hermann) Müller, was born in Mühlberg near Erfurt in 1829. He was the younger brother of Fritz Müller (1822–97). Following the completion of his secondary education at Erfurt in 1848, he studied natural sciences at Halle and Berlin, focusing on botany, zoology, and geology. In 1852, he qualified as a teacher, but returned home to recover from illness before making his first of many trips to the Alps in the summer of 1853. He spent a probationary year teaching at a secondary school in Berlin and then half a year as a substitute teacher in Schwerin. During this time, he completed a dissertation on beetle systematics at the University of Jena and was awarded his PhD in 1855. On a trip to the Carniolan Alps (now in Slovenia), he discovered an eyeless cave beetle; it was the subject of his first scientific paper (Müller 1856). In the autumn of 1855, Müller was appointed as an assistant teacher in the new secondary school at Lippstadt (now Ostendorf-Gymnasium), where he was to spend the rest of his career; he taught natural history and chemistry at all levels, as well as mathematics and German to younger students. Less than a year later, he married Sophie Lempke, a widow who had five children from her first marriage; the couple had three more children. Müller had become a full teacher by 1859, a senior teacher in 1865, and in 1883 an honorary professor. In 1865, Müller devised a teaching plan for natural history that was not only accepted by the school board but from 1866 adopted by the Prussian government as part of the instruction for teachers of natural history. In 1871, he was recognised by the provincial school administration as the most able teacher of natural sciences in the whole province. As a scientific researcher, Müller did not need to look further than his brother Fritz for a mentor. 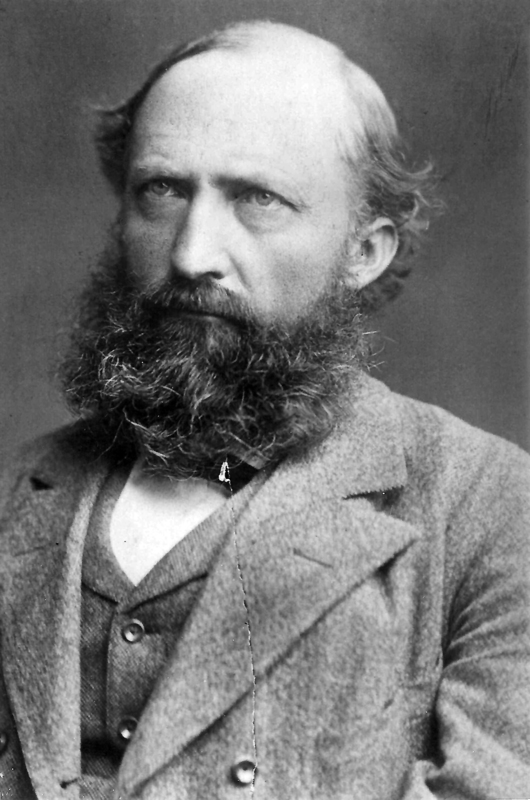 On Fritz’s recommendation, he read the German translation of Darwin’s On the origin of species, and like his brother became a supporter of Darwin’s theory. Just as Fritz had chosen to focus on Crustacea in his book, Für Darwin, so Hermann chose to study mosses from the standpoint of Darwinian theory, publishing an article, ‘Thatsachen der Laubmooskunde für Darwin’ (Facts from the science of mosses for Darwin) in 1866 and sending Darwin a copy of the article. In early spring 1867, Darwin initiated a correspondence with Müller, but that letter has not been found; however, Müller ‘s reply suggests that Darwin must have been very encouraging to the young researcher, for Müller revealed his plans to study Westphalian orchids, inspired both by Darwin’s work on orchids and observations related to him in letters from his brother. Darwin replied encouragingly and in the summer of 1867, Müller began working on fertilisation of orchids. Müller did not merely repeat Darwin’s observations, but began looking at the ways insects were adapted to gather nectar and pollen, just as flowers were adapted to attract beneficial insects while preventing unwanted visitors from gaining access. In October 1867, Müller sent Darwin a letter describing his discovery of specialised mouthparts in hoverflies that allowed them to consume large amounts of pollen. Further research along these lines led to the publication in 1873 of Müller’s seminal work on co-adaptation, Die Befruchtung der Blumen durch Insekten und die gegenseitigen Anpassungen beider (The fertilisation of flowers by means of insects and their mutual adaptations). Darwin could not wait to finish the book before sending Müller his reaction, noting that he had recommended it to ‘almost everyone’ and had ordered a copy to be sent to the Royal Society of London. Darwin was instrumental in getting a translation made, and one of his last publications was the introduction he wrote to the English edition of Müller’s book, published in 1883. While Müller’s research had made him well known and respected in the scientific community both at home and abroad, his teaching became the subject of controversy in 1876. Perhaps because of his high standing within the Prussian educational system and his now international reputation (his teaching plan had been praised in the pages of Nature, 27 April 1876, p. 531), he became a focus of the ongoing ‘Kulturkampf’, the Prussian government’s struggle to limit the influence of the Catholic Church. The ‘Lippstadter Fall’ (Lippstadt case) as it emerged over the next few years, saw the teaching of the sciences, especially natural history, criticised by the Catholic party (known as ultramontanists by their opponents). Throughout, Müller received the support of the Prussian education minister and his teaching was vindicated and described as excellent. A second, in many ways more serious, challenge was the dispute over the teaching of ‘scientific hypotheses’ that began in 1877. This challenge came from within the scientific community itself and eventually resulted in a limiting of the kind of teaching that Müller advocated. Müller fought against this restriction, with a work published in 1879 promoting the value of presenting hypotheses within the school curriculum. Müller had spent almost every summer since 1853 in different parts of the Alps and in 1881 published Alpenblumen, ihre Befruchtung durch Insekten: und ihre Anpassungen an dieselben (Alpine flowers, their fertilisation through insect agency and adaptations for this). In the summer of 1883, he travelled to the South Tyrol. One day after climbing, he was struck with a tightness in the chest, diagnosed as a pulmonary disease by a local doctor, and died a few days later on 28 August 1883. Müller, Hermann. 1879. Die Hypothese in der Schule und der naturgeschichtliche Unterricht an der Realschule zu Lippstadt. Ein Wort zur Abwehr und Rechtfertigung. Bonn: E. Strauß. Münz, Heinrich, and Morkramer, Michael, eds. 2010. Hermann Müller-Lippstadt (1829–1883), Naturforscher und Pädagoge: Beiträge eines Symposiums am Ostendorf-Gymnasium in Lippstadt im 124. Todesjahr Herman Müllers 2008. Brandenburg: Basilisken-Presse. Müller, Hermann. 1856. Beschreibung eines augenlosen Käfers (Glyptomerus cavicola) aus der Familie der Staphylinen.Entomologische Zeitung17: 308–12. Müller, Hermann. 1866b. Thatsachen der Laubmooskunde für Darwin.Verhandlungen des botanischen Vereins der Provinz Brandenburg8: 41–65. Müller, Hermann. 1873.Die Befruchtung der Blumen durch Insekten und die gegenseitigen Anpassungen beider. Ein Beitrag zur Erkenntniss des ursächlichen Zusammenhanges in der organischen Natur.Leipzig: Wilhelm Engelmann. Müller, Hermann. 1881.Alpenblumen, ihre Befruchtung durch Insekten: und ihre Anpassungen an dieselben.Leipzig: W. Engelmann. Müller, Hermann. 1883a.The fertilisation of flowers. Translated and edited by D’Arcy W. Thompson. London: Macmillan and Co.
TheOriginconverted him from a Linnean interpretation of flowers and mosses. Sends interpretation of the floral anatomy ofLopezia miniata. Has learned that Fritz Müller is HM’s brother. Thanks for German version ofOrigin. Dipterous insects are adapted to eating pollen rather than only to sucking nectar. He describes such adaptations in two dipteran species. Comments on HM’s book [Die Befruchtung der Blumen(1873)]. Particularly glad to read historical sketch and discussion of work of C. K. Sprengel. Will soon return to his observations on insects in general and bees in particular.